What Are The Dangers Of Eating Canned Foods? In order to extend the shelf life of foods and preserve them for many months to years, canning was developed as a necessary and important tool. 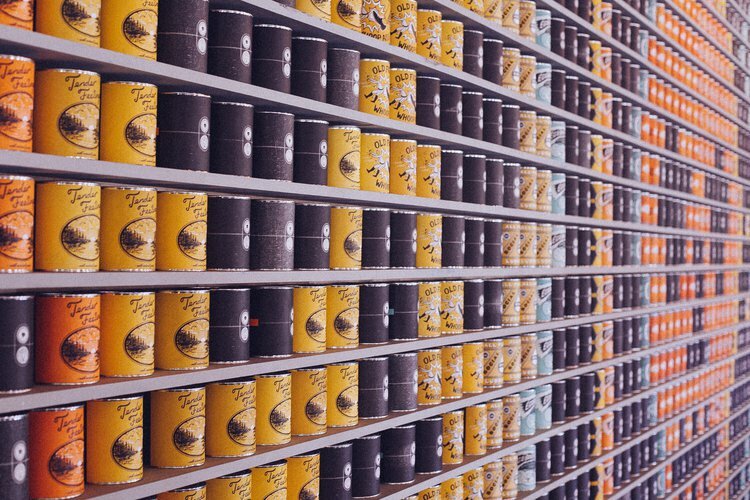 However, even though there are laws and regulations on canning processes in order to ensure safe foods and food products for the consumers, there are certain health factors concerning the consumption of canned foods, which merit attention. In order to extend the shelf life of foods and preserve them for many months to years, canning was developed as a necessary and important tool. Canning is the act of placing prepared and processed foods in airtight and sealed containers to preserve them. However, even though there are laws and regulations on canning processes in order to ensure safe foods and food products for the consumers, there are certain health factors concerning the consumption of canned foods, which merit attention. Canned components may mix or chemically react with the food and be potentially toxic. The identified substances that could migrate from the can to the food include aluminum, lead (though currently it is banned from being used in making cans), and bisphenol A, also known as BPA, which is a toxic chemical that is present in can coatings). BPA protects the can from infectious agents and from corrosion. The Food and Drug Administration (FDA) informs that BPA is normally found within permissible levels in the can contents, and hence safe. However, the Mayo Clinic states that certain studies have revealed that leached BPA into canned foods may affect the brain and nervous system and prostate glands of fetuses and infants. High dietary salt and sugar content: Often the food preservatives used contain high amounts of salts or sugars, which is very harmful to the body. Salt in large amounts can cause hypertension that can severely affect the cardiovascular system. Excess sodium can affect the kidneys too and cause fluid buildup. An excess intake of sugar syrup can add extra calories to the body and may be harmful to individuals with diabetes. Cans on the shelf for many years may be prone to rusting on their inside surfaces. This may be unnoticeable and the food products may be consumed, which is unsafe. Also, severe rusting may cause tiny holes in the can through which harmful pathogens, such as bacteria and fungi, may enter. Botulism: The Food Safety and Inspection Service (United States Department of Agriculture) informs that botulism, a severe and deadly bacterial infection causing food poisoning, is an extremely rare possibility in the case of poor and unhygienic processing, packaging, or handling of canned foods. The risk is higher in ‘home-canned’ foods and food products. The National Institute of Diabetes and Digestive and Kidney Diseases (NIDDK), part of the National Institutes of Health (NIH), says that it is a myth that fresh foods (mainly vegetables and fruits) are always better than canned ones. It need not be the case! However, they advise to check the nutrition facts on the label (such as high fiber, vitamins and minerals) while choosing canned item and to pick low-salt, low-sugar, and low-sodium items or fruits soaked in water or their own juice. It is also advised to wash or rinse canned foods (as applicable) to remove any added salts and sugars before consumption. Blunden, S., & Wallace, T. (2003). Tin in canned food: a review and understanding of occurrence and effect. Food and Chemical Toxicology,41(12), 1651-1662. Lim, D. S., Kwack, S. J., Kim, K. B., Kim, H. S., & Lee, B. M. (2009). Risk assessment of bisphenol A migrated from canned foods in Korea. Journal of Toxicology and Environmental Health, Part A, 72(21-22), 1327-1335. Cao, X. L., Corriveau, J., & Popovic, S. (2010). Bisphenol A in canned food products from Canadian markets. Journal of Food Protection®, 73(6), 1085-1089. Rastkari, N., Ahmadkhaniha, R., Yunesian, M., Baleh, L. J., & Mesdaghinia, A. (2010). Sensitive determination of bisphenol A and bisphenol F in canned food using a solid-phase microextraction fibre coated with single-walled carbon nanotubes before GC/MS. Food Additives and Contaminants, 27(10), 1460-1468.